125g coconut oil- 100 grams for the banana caramel and 25 grams to the wet mix. Step 1. Set oven to 180 degrees. Step 2. Using a non stick pan over medium heat, add 100gs of coconut oil, the honey or agave syrup and the chopped bananas. Step 3. Let it simmer whilst preparing the eggs, oat milk, 25gs of the coconut oil, vanilla essence and cinnamon together in a bowl. Step 4. 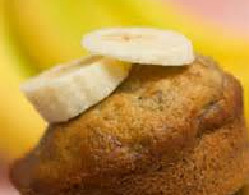 Ensure the banana mixture is become softer and goey/carmelly, once the bananas have turned into almost a paste, remove from heat and allow to cool slightly. Step 5. Stir in the flour and coconut flakes to the egg mixture.Add the caramel banana mixture and mix until smooth and combined. Step 6. Cook for 35 minutes.